The Mary Rose Mission in Grenada is doing well thanks to the support and prayers it receives both locally and in Grenada. The vision of Fr. Ed. Conlon continues through the dedicated efforts of Vincent and Lurine Moraine. The Mary Rose Mission is proud to report that because of your help, a computer was purchased for the only Catholic Radio Station in Grenada. The Catholic Radio Station was a dream of Fr. Ed’s before his death and came to fruition from the financial support you have given. We also provide financial support to maintain the Mary Rose Mission house which is located behind the St. Martin’s Home for the Aged. 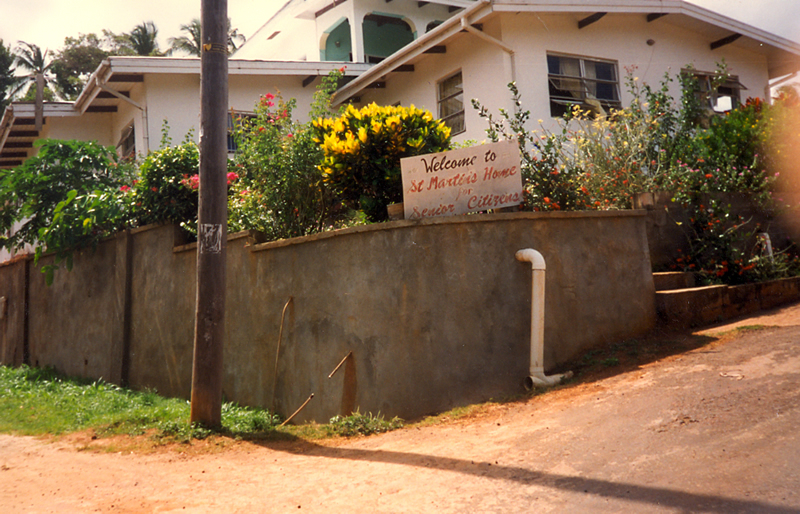 The house is utilized throughout the year by missionaries organized by the Moraines to provide specialized services around Grenada. Also with your assistance, the Moraines are able to provide the basic necessities to the neediest people in Grenada. The Moraines leading the Mary Rose Mission of Grenada purchase and distribute toiletries, cleaning supplies, and food to those who would be forgotten by many. These accomplishments honor the life of Fr. Ed Conlon by continuing the Corporal Works of Mercy he began so long ago. St. Martin’s Home for the Aged was another benefactor this past year. The home was able to make small property improvements that greatly enhanced the resident’s quality of life. The nursing home, founded by Fr. Ed in 1991, currently has 40 residents and one resident recently celebrated his 100th birthday. The mission of Fr. Ed was to provide a home where residents are treated with the utmost respect and dignity. Thankfully, through your support, that tradition continues today. These things and more are made possible through your help. If you would like to make a donation, please send your check to: The Mary Rose Mission, 272 Main Street, Florence, Kentucky 41042. Please mark “Grenada” on the check.